Wolves Do Not Eat Mice. Seriously. "But Lindsey," you protest, "I've seen Never Cry Wolf six times and those wolves ate mice." Yeah. Never Cry Wolf? Not a documentary. Adult wolves usually weigh between 55-130 pounds - at the top end of the range, small-adult-human-sized. So picture yourself taking a nap in a less dodgy part of New York's Central Park. You wake up to discover a single potato chip in front of your nose. Assuming it's hermetically sealed and therefore sanitary, you'll eat it, right? Who wouldn't? But the kind person who left the chip there didn't leave the rest of the bag. So you go for a walk, hunting for more chips. Then you spot one up a tree, because in this extremely strained metaphor, the chips can climb trees. You, however, not that good at it. So you sweat and struggle and pant your way up the branches until you capture the second chip. Except eating it doesn't even dent your raging hunger, because you just burned more calories climbing than are actually contained in the chip. Now imagine that you had to share that second chip with seven of your closest friends and relatives. How long will it be before you realize that a much better strategy is to knock over a hot dog cart and be done with it? And that is why the preferred prey of wolves is ungulates - large, hoofed mammals like elk or caribou. Because if the pack actually manages to catch one, all of its members will not only get to eat, they'll be full for a couple of days. Scientists call this optimal foraging theory. Simply put, it's the idea that animals will focus on food items that give them the most nutrition for the least amount of effort required to catch (or graze) that particular food. And it's why wolves - unless they are old, sick, or one runs right past their noses - don't eat mice. What about you? Are there any bits of persistent misinformation that make you want to set your head on fire? Have you ever seen real live wolves hunting? Are you able to eat just one potato chip? Inquiring minds want to know! On September 15, I attended a very nice dinner in a very, very nice heritage house in Toronto - and got a very, very, very nice surprise. 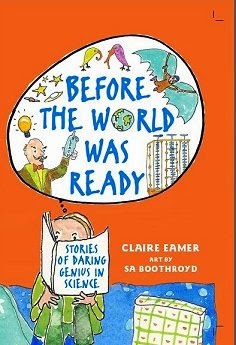 My book, Before the World Was Ready, Stories of Daring Genius in Science, published by Annick Press, won the 2013 Lane Anderson Award for science writing for young readers. 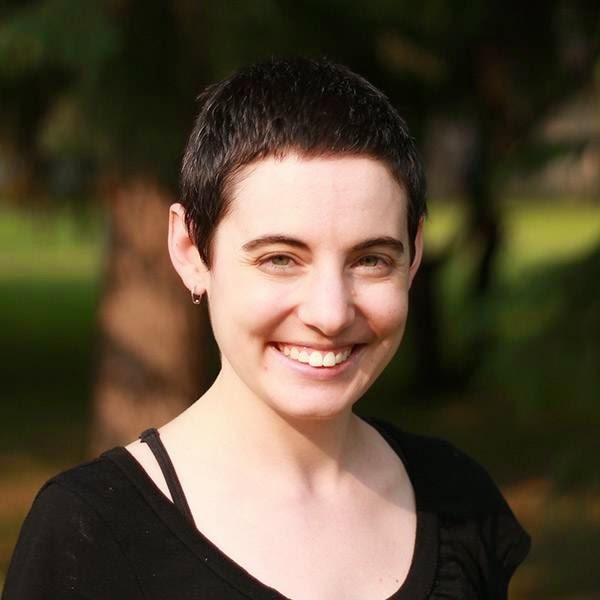 The Lane Anderson Award is a relatively new award honouring the very best science writing in Canada, both in the adult and young reader categories. It was created and is supported by the Fitzhenry Family Foundation. 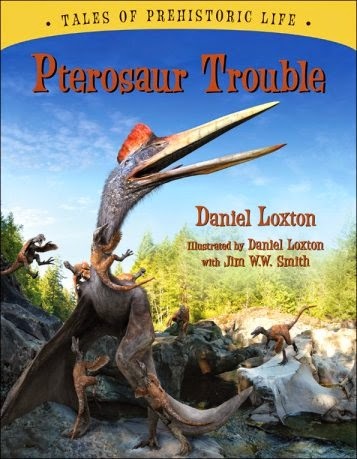 The official website says, "Each award will be determined on the relevance of its content to the importance of science in today’s world, and the author’s ability to connect the topic to the interests of the general trade reader." It's an honour - a huge honour. And there's money attached, which is unusual and extremely welcome in the world of book writing. Now, I knew my book was on the three-book short list - that's why I was at the dinner - but my bets were on another of the shortlisted books. However, I was the only one of the three who could attend the ceremony. We all know or know of each other - that's the nature of kids' science writing in Canada - so we decided to put together a short, joint statement of appreciation, with a bit from each of us. Science writers – and especially children’s science writers – carry collegiality to an extreme. 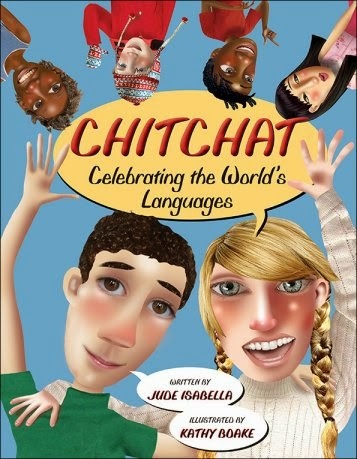 All three of the finalists for the children’s book award would jointly like to thank you for this opportunity and for your recognition of the importance of good, accessible science information that fosters science literacy in both adults and children. 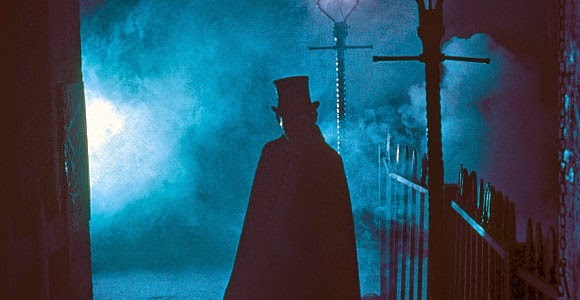 Was Aaron Kosminski Jack the Ripper? Long answer: This is a great case to think about how the source of information affects its believability, and how readers like us can make sense of a world where information is King but we can’t tell if the King is Truthful or not. It’s a question of the criteria we use to make judgments about who, and what, to believe. 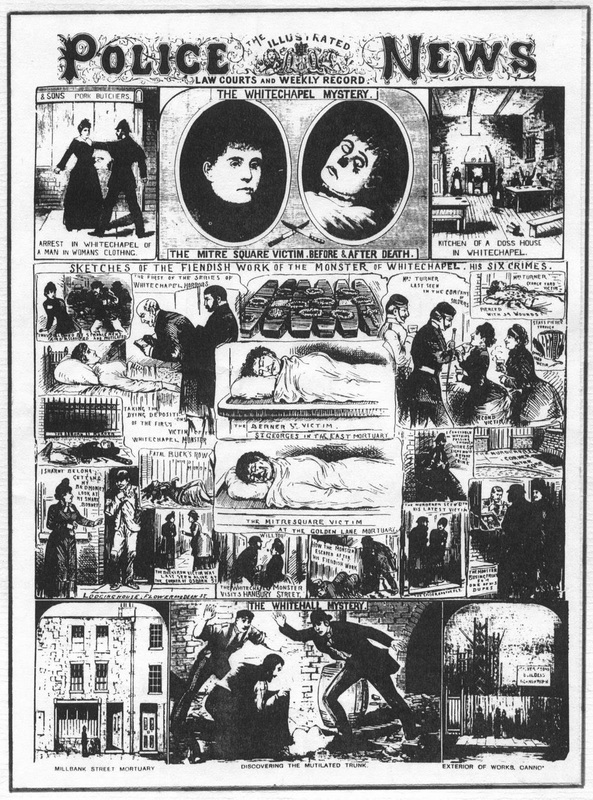 The case: Russell Edwards has in his possession a shawl reported to be that of Jack the Ripper victim, Catherine Eddowes, who was killed just after 1 am in a public square near Whitechapel. Her throat was slit, her face mutilated, and parts of her bowels ripped out of her body. Nasty stuff. The stuff of legend, fiction, movies, books, and others’ fame and fortune. Owning a scarf purported to be from the scene of this crime is one thing, but Russell Edwards, a businessman and author, had it tested for mitochondrial DNA in a bid to find forensic evidence to lead to the murderer’s identity. 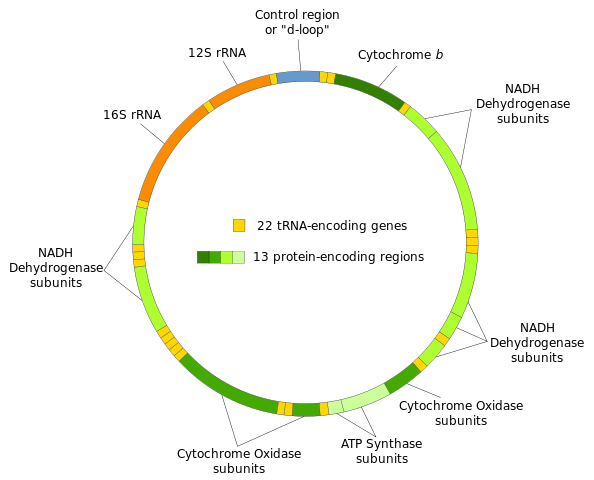 Mitochondrial DNA is DNA found within the mitochondria, a component of our body’s cells. Mitochondria are the site of energy production – like a power generating station. How this cell organelle came to contain DNA in the first place is intriguing in itself – it is thought that the organelle was once an independent living bacteria that was ingested by a larger unicellular organism that was the ancestor of all animals. But that’s an aside. The main point is that mDNA is useful in determining relatedness; it is only passed down from mother to daughter and it is relatively stable from generation to generation. Also, it can be sequenced from very small quantities of organic matter. Russell Edwards enlisted the help of a molecular biologist, Jari Louhelainen, who found mDNA on the shawl that was a perfect match to an ancestor of Aaron Kosminski. Aaron Kosminski, a poor Polish immigrant who ended up in a psychiatric hospital two years after the Ripper murders, was one of several main suspects in the case. The conclusion is that someone with Aaron Kosminski’s mDNA left cells on that shawl. Edwards broke the news that he had the first proof that Kosminski was the Ripper. The problems: Not everyone has jumped on Edwards’ bandwagon. Naysayers have had plenty of comment. They point out that the shawl was not mentioned at the time of the murder, and its connection to Catherine Eddowes is not definitive. They also point out that ancestors of Kosminski have handled the shawl, so the mDNA found might not belong to Aaron himself, but one of his descendants. Or, it might indicate that Aaron had contact with Eddowes, like any number of people living in that area at that time might have. And, they point out that Aaron was not institutionalized until nearly two years after the last Ripper murder, and his mental illness does not seem to match the m.o. of a slasher and dasher. However, one of the most interesting issue relating Edwards’ findings, in my mind, is how he announced it: the evidence was not submitted to a scientific journal for peer review. Normally, scholarly work is reviewed by two people in the field who look for holes in the work, alternative explanations to explain the result, for faults in methods or statistics, or anything else that might make it suspect. The system is not perfect, by any means. For one, sometimes two people in a field resist a new idea that threatens current understanding. Sometimes they miss something. Sometimes, the scientist(s) writing the paper have outright lied. The evidence of Kosminski and the shawl, however, was announced to The Daily Mail, a British newspaper whose pages are heavily filled with murder, divorce, and celebrity gossip. Personally, I love the paradoxes inherent in this controversy. When the news first broke, media reports spoke of the DNA evidence as relatively convincing. I went to Wikipedia for more information, and there found a much more balanced view of the story, with plenty of background information and more than enough reason to put doubt in my mind of the definitive proof of this new evidence. Wikipedia is not generally considered a reputable source, and some teachers frown on its use in a bibliography. And yet, in my own work as a popular science author, in reading thousands upon thousands of scientific journal articles and reputable books published by reputable publishers, sometimes tracking down minute pieces of information few seemingly care about, I’ve learned that the credibility of sources are often fuzzy. I use Wikipedia, and I’m not ashamed to admit it. It often has excellent quality information written in an understandable way, in a breadth that is hard to match. However, I always check with secondary sources for agreement – the more important the info, the more sources I check. And I tend to look up, read, and cite the references used in Wikipedia in my work. There is some hypocrisy in our society’s view of Wikipedia as an unacceptable source of information, when books – compilations of information from elsewhere is deemed acceptable. It has amazed me to find a single piece of information, say an anecdote about the first hairdresser in history, Monsieur Champagne of 18th century Paris, repeated in numerous books all referencing each without any reference to empirical evidence. So I treat information I read in books the same as I do information I read on Wikipedia. I use other clues to help with my judgement of its accuracy. There is also the amateur status of Russell Edwards, which is front and centre in the media that influence judgement of this evidence. Amateurs tend to be dismissed as sources of information, and yet there are some amateur enthusiasts who have great breadth of knowledge in a particular area. I recall one particularly ‘obsessed’ amateur scholar of a group of tiny ocean creatures, foraminifera, who was the go-to person for identification. Amateurs may not carry the same biases that people entrenched in a field might. In a sense, Henry Ford was an amateur, so was Alexander Bell. Training does not always make someone smarter or better. What is interesting about this case is that Edwards’ release of his new evidence coincides with the release of his book, . Edwards is not just enhancing our understanding of history, he’s not just an amateur sleuth, he’s a businessman, and he’s profiting. His motives make his information suspect. The motives behind any source of information can be highly influential and should at all times be considered in any case where the truth is important. This is the basis of propaganda. I’ve also read enough peer-reviewed scientific papers to know that it sometimes reviewers and authors and experiments and statistics paint an inaccurate picture. This is not criticism – it a valid, even important part of the science. It is disturbing, however, to notice that it is easy to believe information of any kind if it is presented as having a scientific basis. Science alone is not truth. Science is an endeavour of human beings. It is, however, generally founded on dedication to finding and understanding reality as closely as possible. It is the best we’ve got when it comes to understanding the natural world, including Traditional Knowledge – which is based on empirical observations passed down from generation to generation. All of which does naught to help clear up whether Edwards’ new mDNA evidence is enough to proclaim the Ripper identified. The waters of this murder case are still muddy with doubt, with good reason. Which brings up another aspect of science in the news: just because something is not proven does not mean that it is false. The statement, “there is no conclusive evidence that Aaron Kominski was Jack the Ripper” is not the same as “Aaron Kosminski was not Jack the Ripper.” He might have been, we just don’t know enough to say so yet. I should say, I don’t know enough to believe so yet. Located at the University of Saskatchewan in Saskatoon, the Canadian Light Source houses one of the largest science projects in Canadian history: the synchrotron. The only one of its kind in Canada, this giant machine began operations in 2005, and helps researchers to examine a huge array of subjects. A synchrotron is a type of particle accelerator, a machine that “uses electromagnetic fields to propel charged particles to high speeds and to contain them in well-defined beams” (http://en.wikipedia.org/wiki/Particle_accelerator). You may have heard of the Large Hadron Collider -- the world’s largest particle collider, which is also a type of particle accelerator. Rather than collide particles like at the LHC, the synchrotron at the Canadian Light Source is designed to create light so bright, it allows scientists to study extremely fine details and even the chemical properties of materials. For example, a team of scientists studying osteoporosis were able to look at the cellular structure of bones, studying human bone at a level of detail rarely seen before. synchrotron and photographed using a powerful microscope. The process starts with the Electron Gun: it shoots high voltage electricity through a tungsten-oxide disk, which heats to about 1,000 degrees Celsius, giving some electrons enough energy to leave the surface. A voltage of 200,000 volts directs them to the Linear Accelerator. The Linear Accelerator speeds the electrons up to move at 99.999998 per cent the speed of light. To get up to this speed, microwave radio frequency fields push the electrons, “much the same way a surfer is pushed by water waves" (Canadian Light Source). Here's a fun fact: “The electrons… must travel in a vacuum to avoid colliding into atoms or molecules and disappearing.” There are fewer molecules in the synchrotron’s vacuum system than there are in space around the International Space Station (Canadian Light Source). Next, they hit the Booster Ring where the energy of the electrons is raised from 250 mega-electron volts (MeV) to 2,900 MeV using a radio frequency cavity -- a structure that contains an electromagnetic field. 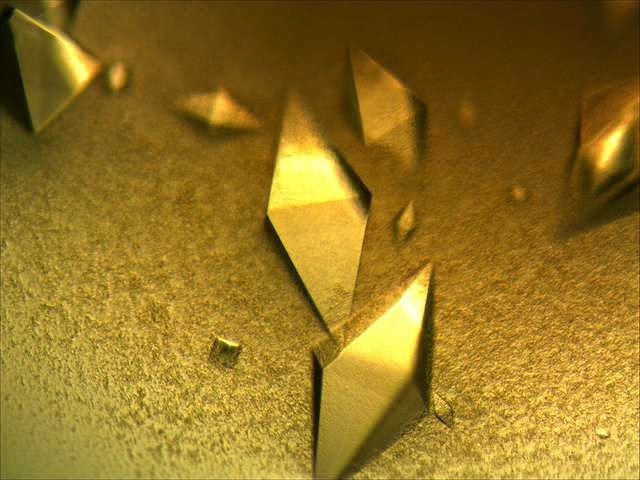 These are really, really high energy electrons! To compare, the energy of charged particles in a nuclear explosion only range from 0.3 to 3 MeV (Canadian Light Source). Finally, the electrons circulate in the Storage Ring. Whenever a researcher needs the synchrotron's light, they activate a magnet that bends the electrons’ path toward the beamlines and experimental stations. How do researchers use it? The Canadian Light Source website says the synchrotron has been critical to over 1,000 scientific publications. The light source can help advance medicine, agriculture and biotechnology, mining, micro and nanotechnology; can help fight cancer, and reveal historical secrets; help us build better transportation and computers, and create better materials.